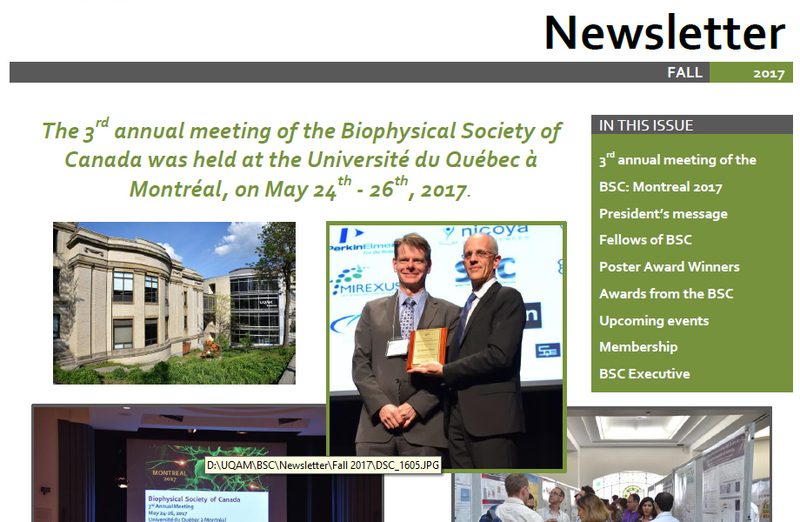 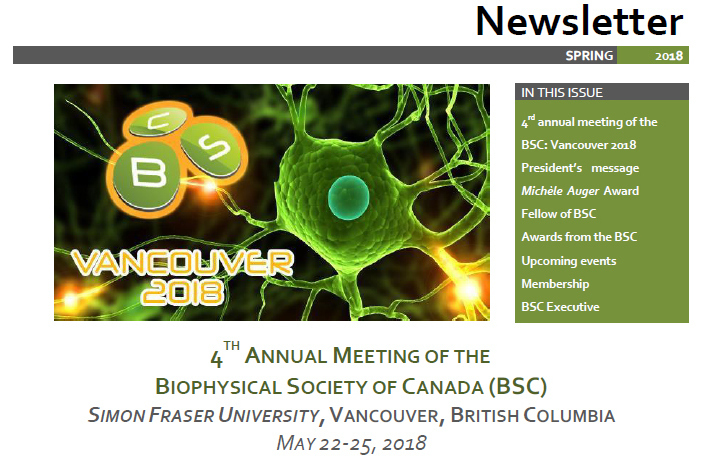 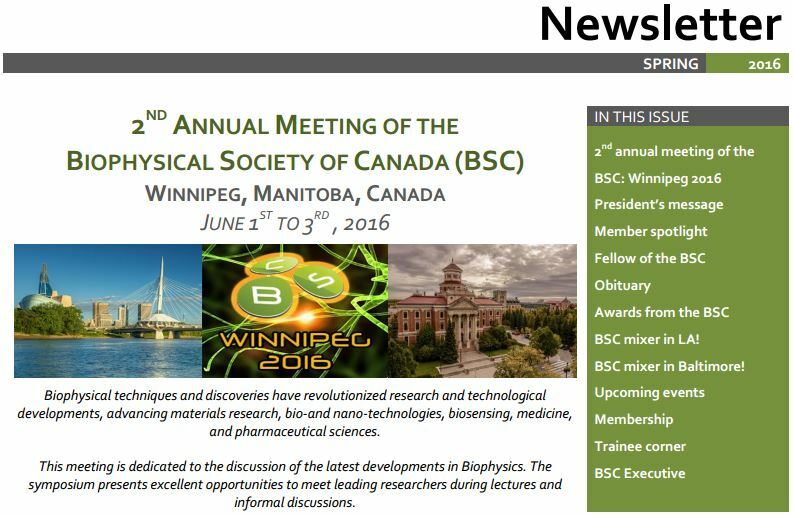 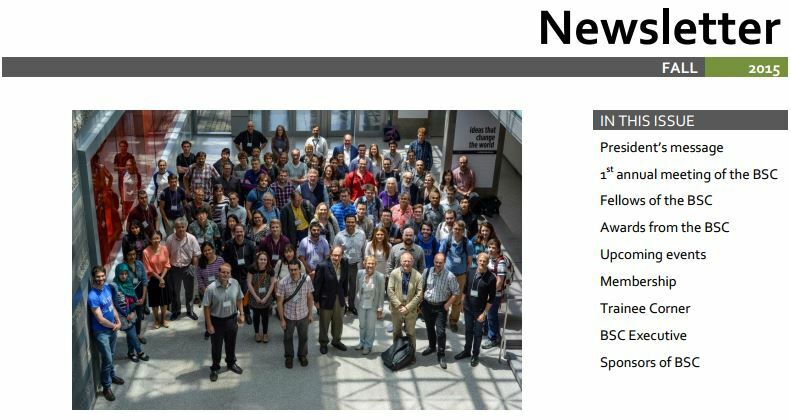 The Biophysical Society of Canada publishes a newsletter in both the fall and spring of each calendar year. 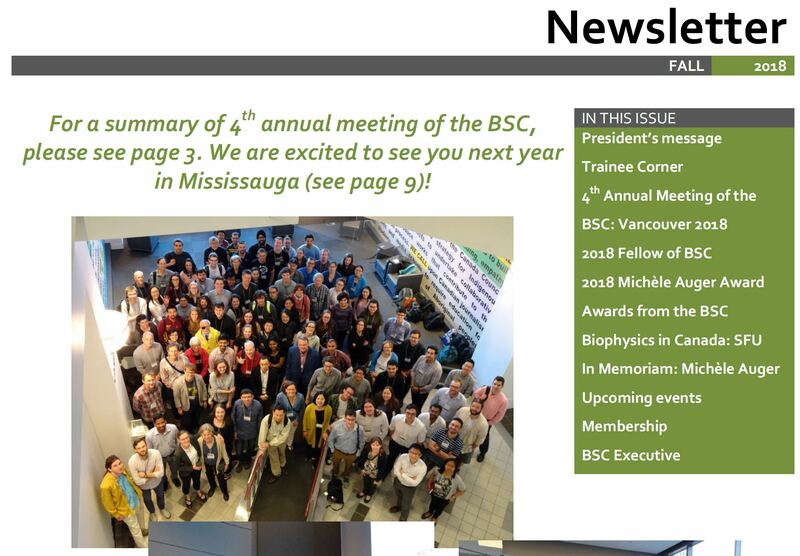 The newsletter highlights recent activities of the Society and its members. 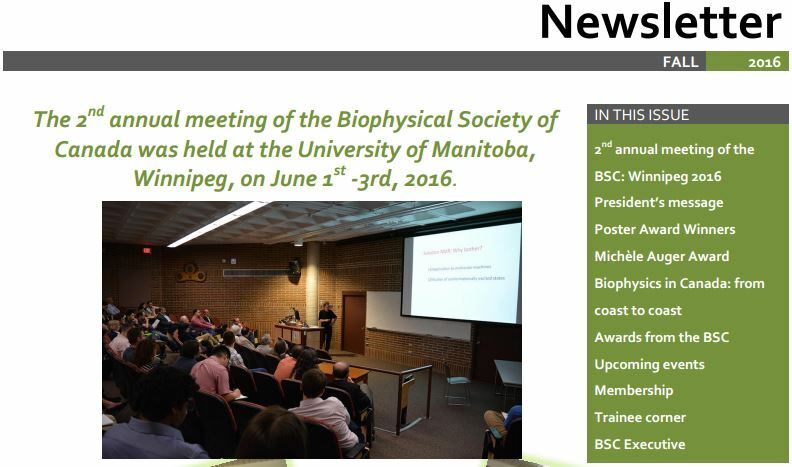 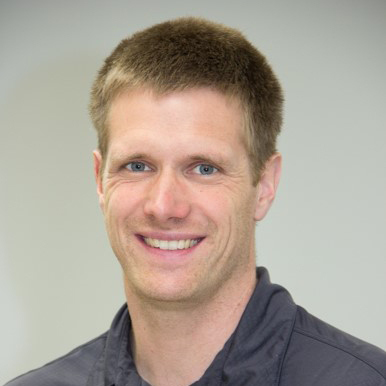 For more information, please contact our newsletter editor David Langelaan.